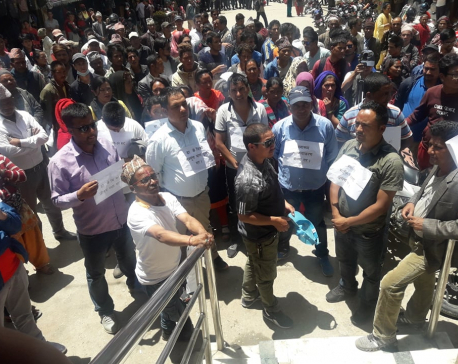 PANCHTHAR, Jan 26: Expressing disappointment with the government for neglecting the demands of Dr Govinda KC, youths in Panchthar district hit the streets on Friday, wearing black bands covering their eyes, ears and mouths. Dr KC, a social reform crusader, is on his 16th fast-unto-death. 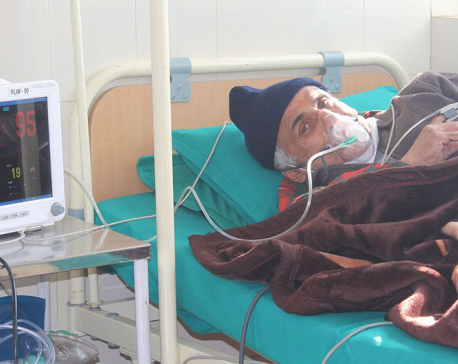 As in the past, Dr KC has been fighting for improvement in the medical sector despite his ailing health. Showing their solidarity with Dr KC, these youths have been staging various kinds of symbolic protests for the past few days. Apart from chanting slogans in support of Dr KC, these youths demanded that the government establish a medical college in Panchthar. The protesters stated that the government must implement the agreement reached with Dr KC during his 15th fast-unto-death. 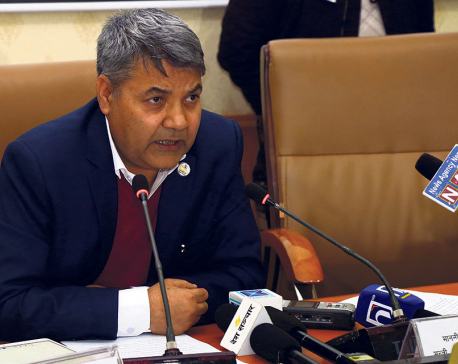 He also accused the government of neglecting Dr KC's fair demands and shielding the medical mafia. These youths have stated that they will continue their protest until the demands put forward by Dr KC are addressed. They also staged a symbolic street drama on Friday in order to make the people understand the intention of Dr KC and the negligence by the government.